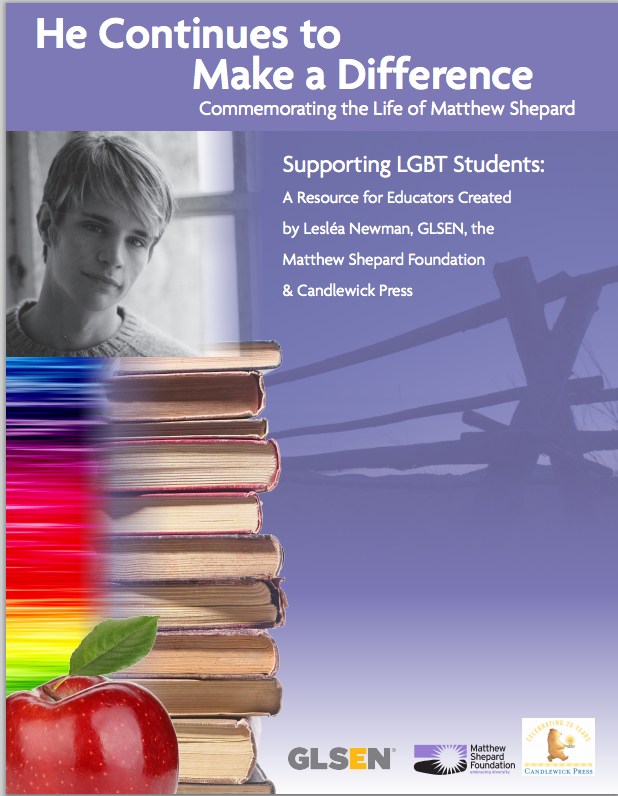 Using Lesléa Newman’s award-winning book of poetry, OCTOBER MOURNING: A SONG FOR MATTHEW SHEPARD, as a foundation, educators can foster meaningful dialogue with students while meeting English/Language Arts and Social Studies standards. doesn’t matter, someone—or something—easy to destroy. And this is why we must keep telling Matthew Shepard’s story. his life was cut short, a whole world was destroyed. The resource guide is available as a free pdf, and is well worth checking out.